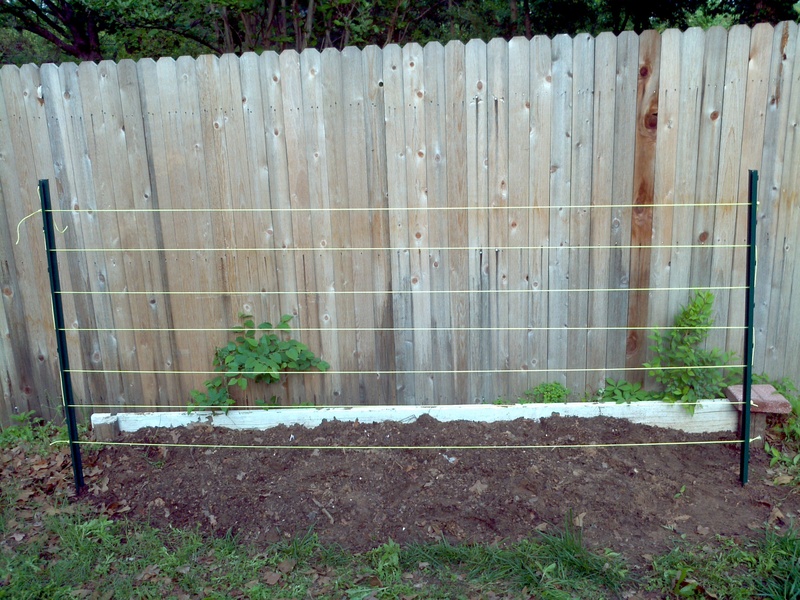 Inexpensive tomato cage/trellis | IT Vomit! ← Kubuntu 11.10 – more font funnies, not! Needed a strong reusable cage/trellis for my tomatoes, the cheap round cages were not cutting it, not tall enough and the welds fail. So I went to my local abode depot, and after much walking about purchased a few inexpensive things that I think have done a pretty good job. 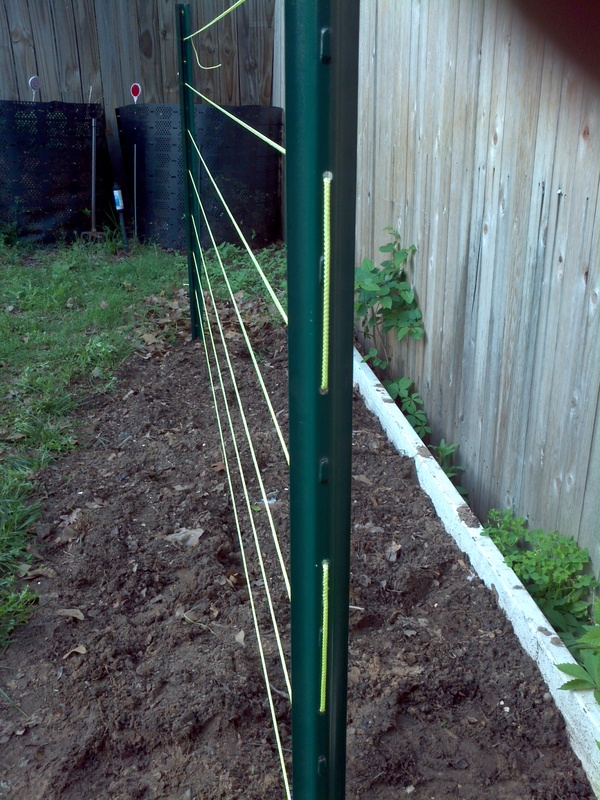 I nearly bought some wooden 6ft stakes/poles, about $3 each, but figured the wood will rot (rain and watering) and the hot sun will also figure into it, so in the end I bought 2 x 6ft metal painted fence stake, I only bought 2 as I wasn’t sure how all of this was going to work out, it worked out fine though. 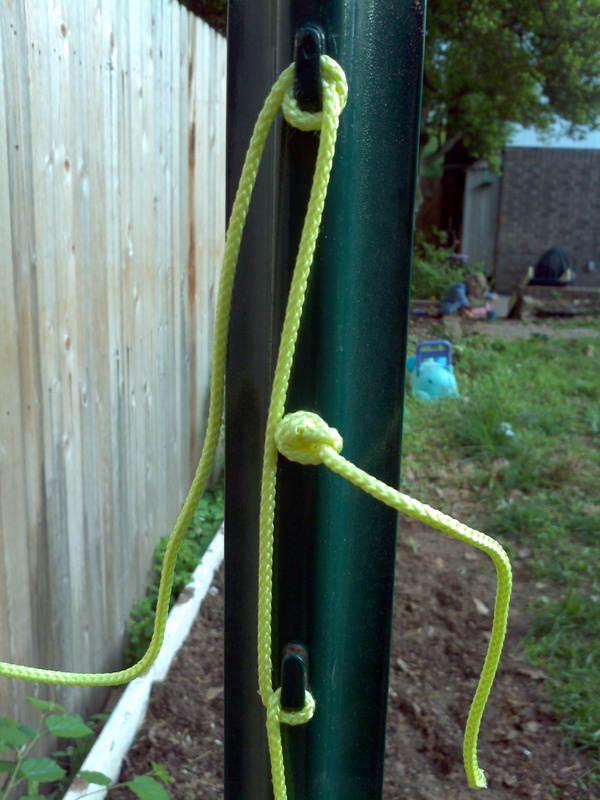 I spent some time thinking about the support for the tomato branches, I could use wire, seemed it might be awkward to fit, and rust, then looked at twine/string, decided it would stretch and fray when getting wet, I ended up getting polypropylene cord, reasonably thick stuff, I got the yellow version as I wanted it to be noticeable to stop my kids accidentally running into it, and to be able to see it clearly, through what I hope to be a mass of foliage! :-). 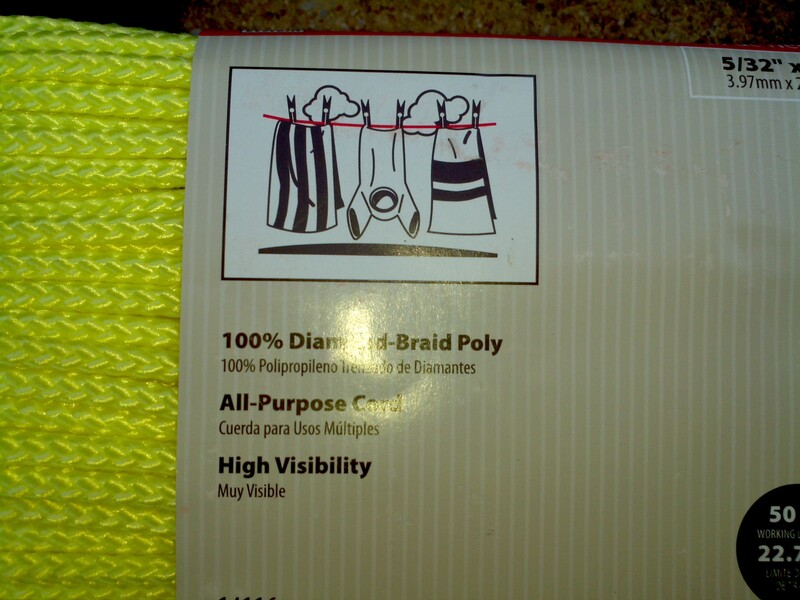 This worked out great as the cord is just a little bit smaller than the holes in the stakes. I banged the stakes in nice and deep, initially I cut a piece of cord the width of the stakes, tied a knot at one end, threaded it through the first stake then over to the second stake, and knotted it again, then it hit me…I could just use one continuous length of cord, zig zagging to the top, much like threading boot laces through eyelets on boots etc…used slightly more cord but it is cheap anyway, and has the advantage that you can adjust the tension should it start to go slack in the future, and the tangs on the stakes acted as a great way of tieing off the end of the cord…this was working out so sweet!!! Any follow-up on this one? How’d it work out for you? The stakes worked great, mine were spaced about 6ft apart, when I do it again (we’ve moved house) I will have the stakes every 3ft as I think this will work better. The only real issue I had was with the polyprop cord I used, after 9 months or so it started to disintegrate, the outer sheath just flaked away, just leaving the inner strands, I guessing it was mainly UV damage, also, it took a bit of effort to get the polyprop cord tight as it has some elasticity to it, so I, so next time I may use rope, or metal wire, I think metal wire will work the best, even though it will rust, it will take some time. But overall, the concept worked, we had a bunch of lovely juicy tomatoes!